Greetings, folks! Here’s another short and sweet post around connecting to a popular data source, Teradata. This is even easier to do than the data connections outlined in the previous posts, since you can use the native ODBC connection that comes with Datazen out of the box. 1. 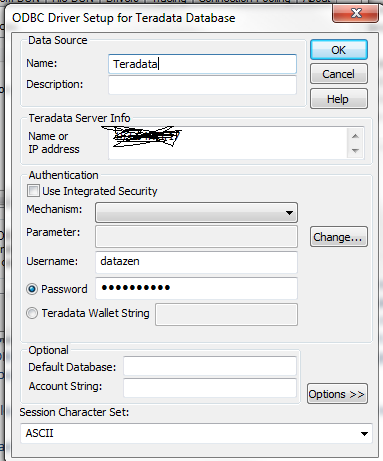 You need to download the Teradata ODBC driver here (you’ll need to register for an account). 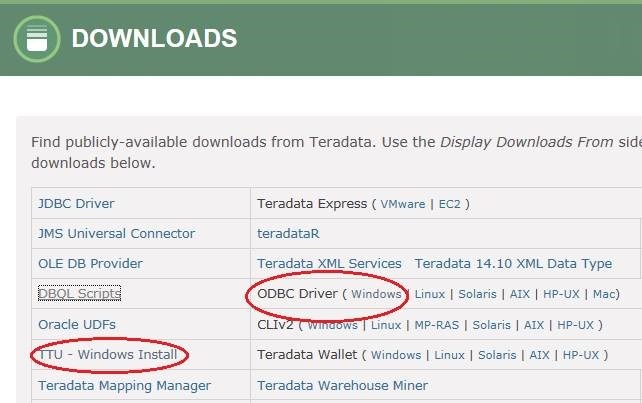 I’d suggest you download the Teradata Tools and Utilities (or TTU for short) so you can test things if you run into issues, but you can just download the ODBC driver and plow ahead if you’re a gambling man. You’ll need the 64-bit version of the driver. 2. Once you’ve installed the driver on the Datazen server, setup a new ODBC connection. You’ll need to save the username/password in the connection, and leave everything else as the default settings or if you want to set a default database in the connection, that’s fine as well. Excuse the scribbling to hide the IP address, trying to use Paint on an airplane with your touchpad is not a great experience. See? Easy peasy. Have a great week, folks!